I used to be a gym rat. 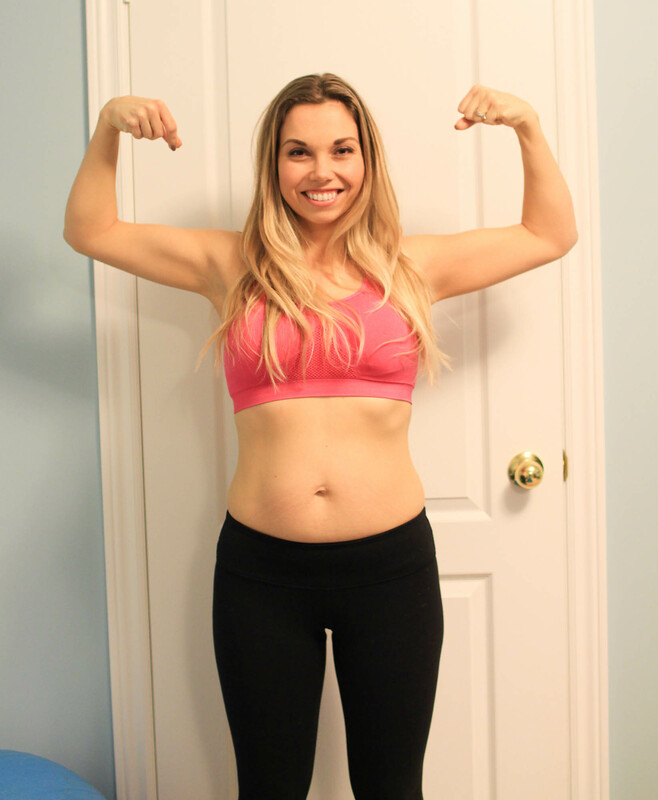 I had finally found success with weight loss and exercise when I was in my early twenties. I associated working out with leaving my house, away from the distraction, (and snacks) and I would get it done. 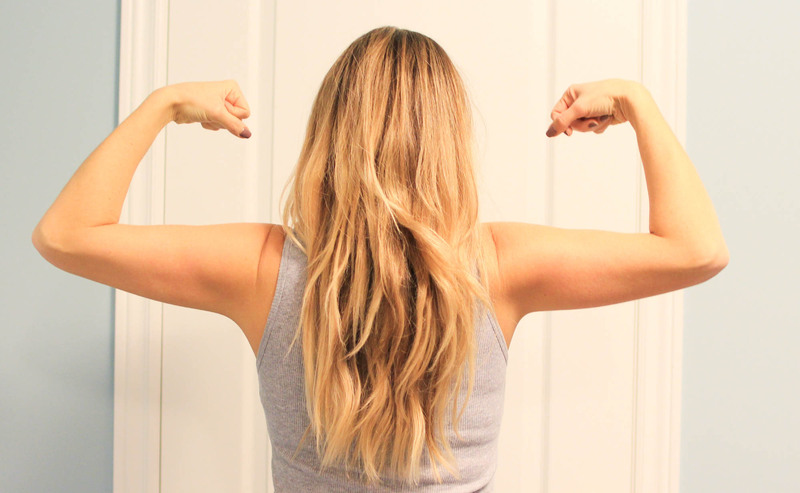 But after becoming a mother and a failed attempt at going to the gym, (while my son screamed the entire time he was in the daycare my gym provided), I knew that I had to find a way to workout at home. So, little by little I carved out a space, did my research and invested in a few pieces of equipment. 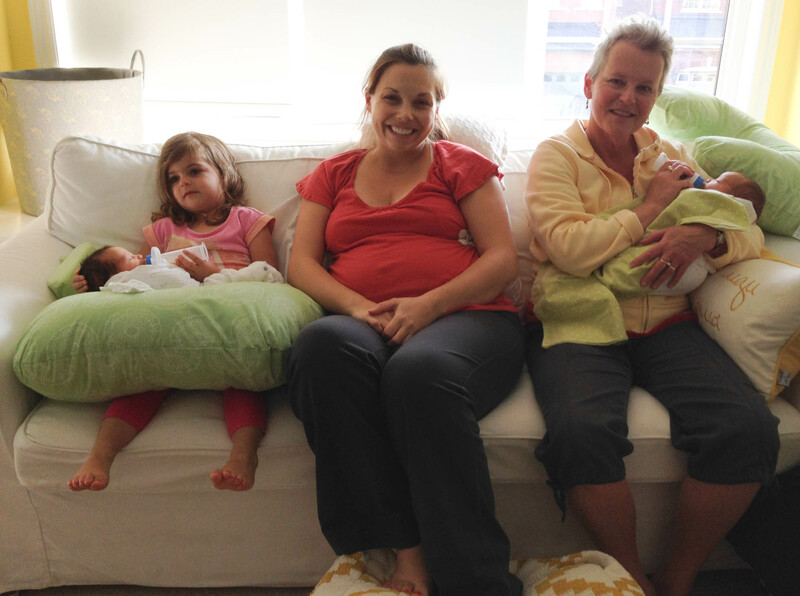 This little haven became even more important as I had my second child, and eventually my third and fourth: twins. There would be times that I would find getting up in the morning, before anyone else, my sweet spot, and other times in the evening, just after putting my kids to bed would be when I could get my workout in. But it was always nice to know that I didn’t have to rely on childcare, or waste time driving somewhere to workout. For me it was and is the perfect fit. After having my twins I was on a roll. 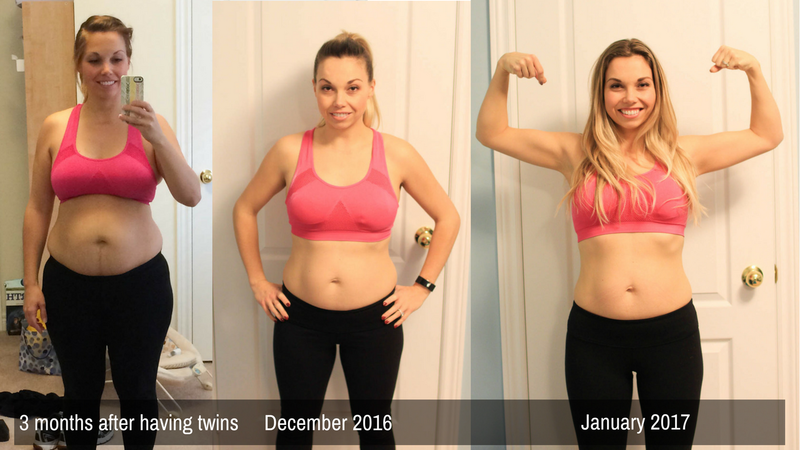 I worked out almost daily, starting after I was three months postpartum and I eventually lost sixty of the seventy pounds I had gained. But those last ten pounds have stuck to me like glue. Occasionally I will shake things up and find some success, but then life will happen and boom, back to square one. That’s when I decided to work with an in home personal trainer twice a week in my home, and it has made a massive difference. I have realized that I was stagnant and not really pushing myself enough. My husband has got in on the action too, which has held us both accountable. 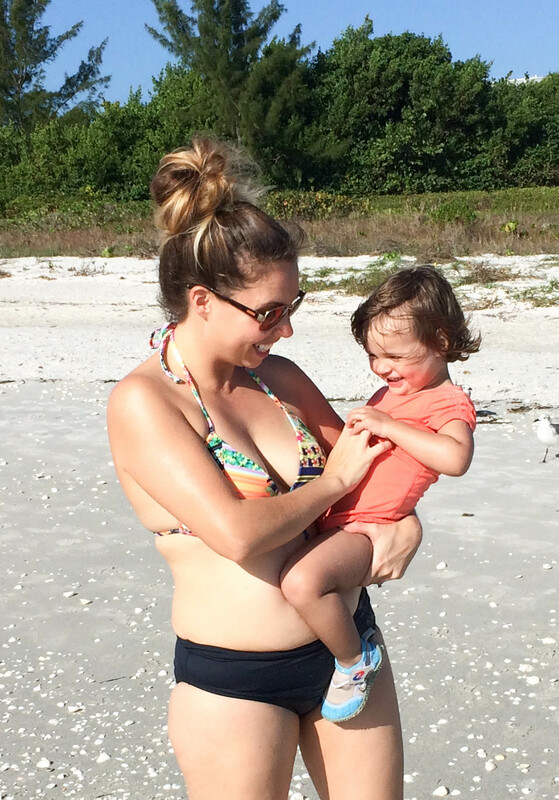 I am now working out six days a week, and not only have I watched the scale start moving again, but muscles I have never seen before are popping up, and I am happier and more patient with my entire family. 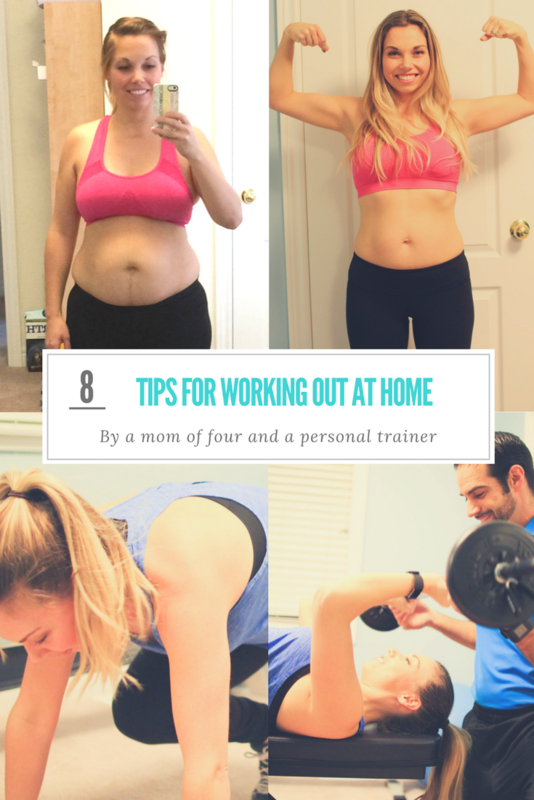 I have already learned so much over the past month working out with a personal trainer, and have seen such incredible results, I wanted to share some home workout tips with you. 1. Invest in home fitness equipment. What is worth the investment? Essentials like small dumbbells, (5-10lb dumbbells are a must if not adjustable dumbbells), a stability ball to act like a bench, or a stepper (bench and cardio in 1), 2 different levels of resistance bands (light and medium), a door anchor to attach them to, a cardio machine that lasts like a treadmill, rower or an elliptical machine. Using different equipment not only freshens up your workout, but it puts different stimulus reacting to your muscles being worked, therefore greater results! 2. Use your technology and entertainment devices. You can tap into great music from your smart device, (I personally like FitRadio). Or for boring or mindless cardio, you can watch a show or movie. (Netflix is great for this). Many studies have proven that music enhances your performance. Why sit on a couch to watch TV when you can be active, moving and burn calories? 3. Track your workouts. Don’t just track the days you worked out, but also the sets, reps, load pushed or pulled. Use a notebook or journal, or go high tech and use an app like we do with our clients. In order to achieve better results you need to know what results you had before. Using the Progressive Overload approach and adding more load, or more reps, or more sets, makes a big difference in increasing lean muscle while burning stubborn body fat. 4. Involve someone to help keep you accountable. This could be your partner/spouse, a friend with similar goals, or a personal trainer to keep you on track. Adding a workout partner for motivation and drive allows both parties a win/win scenario. Make sure it is someone you can count on when you don’t feel like showing up to your own workout. 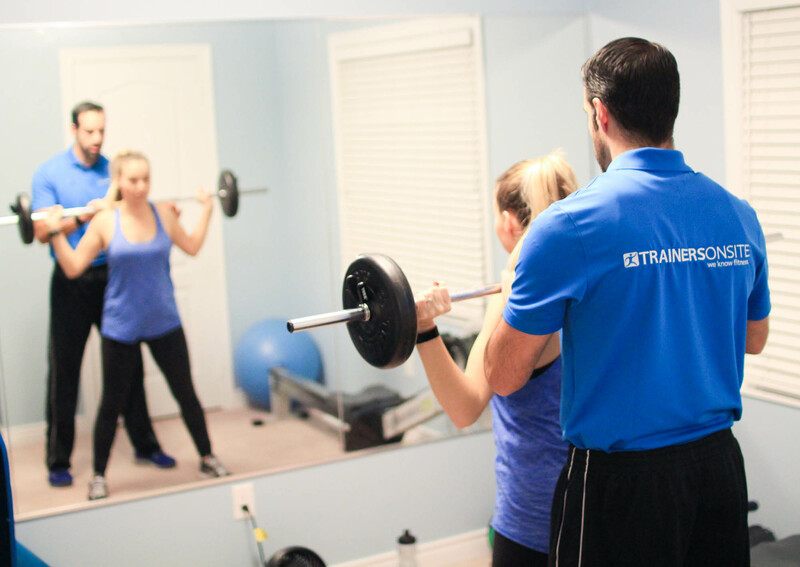 Personal Training at home works! 5. Carve out ME TIME. 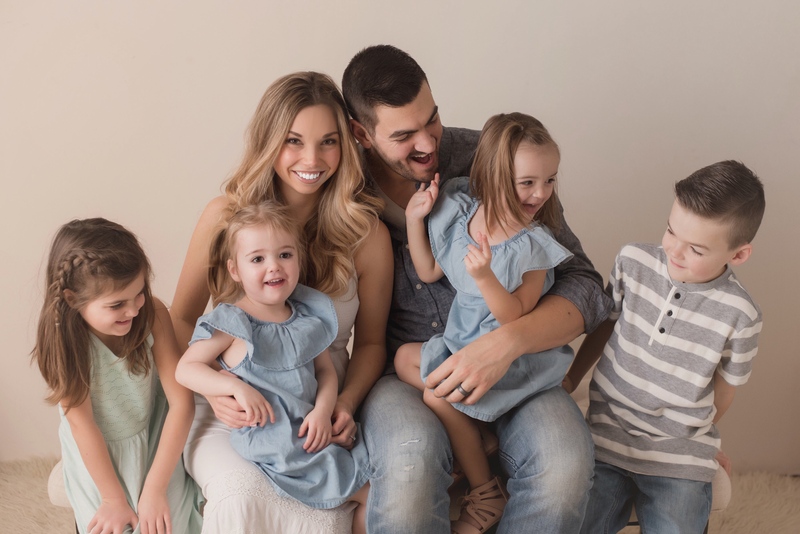 There could be many options here so you have to figure out what works, (early before anyone gets up, during nap or school time, late at night when kids go to sleep), the earlier the better (a moms day never ends! This is an essential tip that might go overlooked. Get in a groove and find out what works best for you and your family and then stick to it. Home workouts are great for efficiency and convenience but can also end up being minimal if you don’t stick to a regular schedule. 6. Have a carrot. I find planning a little getaway, or get togethers with friends the best motivation. It can be so easy to not leave your house for days on end without really realizing it when you are in the trenches with your kids. Make plans and get excited about them. 7. Take progress shots. When you are so busy and in comfy sweats most days it can sometimes be hard to see any progress. I love referring back to the photos I have just after having my kids and thanking my body for creating those humans and how far it has come since. 8. Dress up like you are leaving to go to a gym. After having many months of success working out at home, I slowly started to let everything slide. At first it began with me being too lazy to put on my running shoes, then a bra, and eventually I was rolling out of bed and doing a couple sit-ups in my pjs and calling it a day. Putting the effort in to dress the part will set you up for a better workout. Want to join in on a workout with us? Check out our Facebook live video as Rob, from Trainers On Site, myself and two special guests lead you through a workout you can do at home. 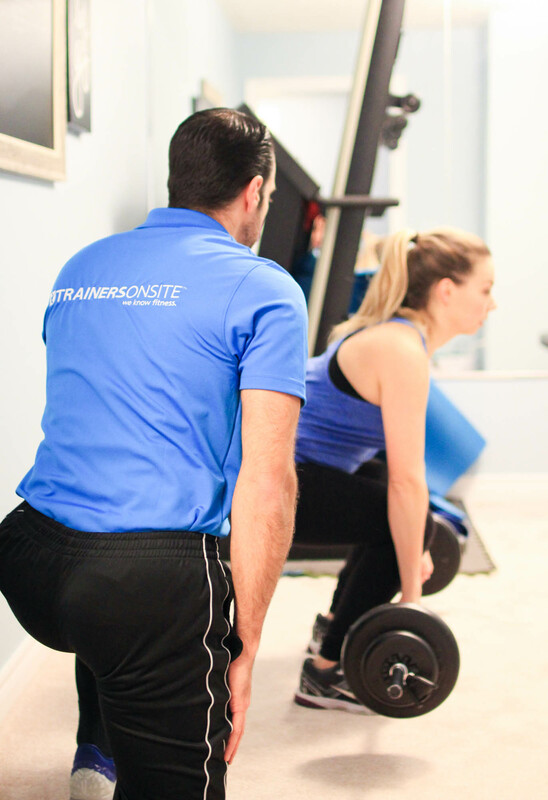 Trainers On Site has been servicing the GTA since 2008 bringing workouts to clients homes and workplaces. Their mission is to help the world get a little bit healthier one workout at a time. You’re their perfect client if you’re a busy mom or dad who has no time or motivation to get to the gym. In order to try out their service they’re offering first-time customers a free fitness assessment, personal training session and meal plan to help them get started. Check out Trainers On Site at www.trainersonsite.com or call them at one 188-826-91867. Disclosure: Nesting Story is in partnership with Trainers On Site and has received free services from them. Yeah Yeah, you get it girl. Strong is the new skinny. Muscle is better than fat. Don’t fixate on the scale. Do a clothes check. Next Next post: Whoops! Well, that was embarrassing!